This movie has kicked off a whole bunch of sequels and seems to be amongst the most popular contemporary movies in Japan. As I am a big fan of Japanese cinema, I was looking forward to discover the universe of Tomie with this first movie. In the beginning, I was a little bit disappointed. The movie has a dark mood but a very slow development. The story seems to be a rather ordinary one with a school girl suffering from amnesia that is haunted by her past and an evil demon in form of a beautiful girl that resurrects over and over again. The movie seems to be filled with many scenes that have a couple of lengths, for example as a detective talks about seven minutes with the girl's psychologist. What we don't know at that point is that the details mentioned in this very special dialogue are important to understand the ending of the movie that finishes with a punch and a twist. The final scene excuses for many clichés and predictable events before and they it really surprised me. Still, I am not entirely sure how to interpret the end but that's what's so interesting, gripping and mesmerizing about it. It offers some food for thought. Another good point is that the movie shows a lot of Japan's unique culture which is interesting for the international public. The lifestyle, the food and the landscapes are shown without giving an ordinary documentary touch to the flick. All in all, the ending is worth the wait and I would like to try out the second movie one day. Yet, I have seen much better Japanese movies and don't understand why this series seems to be particularly popular. I don't believe the hype yet and can only talk about a quite good but not an excellent flick. Tomie: Another Face isn't a feature film but three episodes made for Japanese television cut into one single movie. This film is much less intriguing than the first feature film and only interesting for avid collectors and fans of the franchise. While the second episode shows some promise, the first is just above average while the third is simply uninteresting. The first episode is about a high school love triangle. Tomie was brutally murdered and her boyfriend is still deeply saddened by the tragic events. His former girlfriend wants to win him back and starts getting in touch with him again. One day however, Tomie is back at school as if nothing had happened. The fateful love triangle soon leads to another tragedy. On the positive side, this first episode is short and concise, has an intriguing atmosphere reminiscent of high school horror movies and ends with a creative twist. On the negative side, the acting performances are quite stiff and the camera work is equally static. The second episode tells the story of a photographer who can't forget a beautiful woman he photographed ten years ago in his hometown. He has since become obsessed with the beautiful lady and returns to his town in order to find her. He is stunned when he meets a young woman who looks very similar to her in a shady bar and asks her to be his model and muse. The photographer realizes too late that something is amiss when he develops the pictures he took of the young lady as tragedy strikes on numerous occasions. The second episode was the most intriguing one of the three. It had diversified locations, a few mild horror elements and a few minor twists and turns. The opening minutes slightly overstayed their welcome and the acting performances were at times overacted. The third episode tells the story of a naive man who is proposing to his girlfriend in a park when they suddenly get attacked by a man with an eye patch. The couple manages to escape but the fiancee asks the naive man to kill the perpetrator for her if they ever cross his path again. The man reluctantly agrees as his fiancee even buys a knife for him and menaces to leave him if he isn't able to protect her. He meets the man with the eye patch again and the mysterious man overpowers and kidnaps the naive man. He then tells him an incredible story about his fiancee. The protagonist must decide whom to trust and make a crucial choice. This episode is the least intriguing of the three. It has one minor twist towards the end but most of the story is quite predictable and at times even boring. Even though the acting performances are probably the best in this episode, the story itself lacks inspiration. In the end, this short collection of three television episodes is entertaining and worth to be watched once for fans of the franchise. However, the episodes aren't too memorable and suffer from amateurish acting performances, a lack of scary moments and stiff camera work. Tomie: Another Face is only for die-hard fans of the franchise. Tomie: Replay is the best entry in the franchise up to this point. It doesn't have the weird atmosphere and mysterious soundtrack of the first film but a much better story and quicker pace. It doesn't have the second film's concise diversity but offers more profound characters and events. 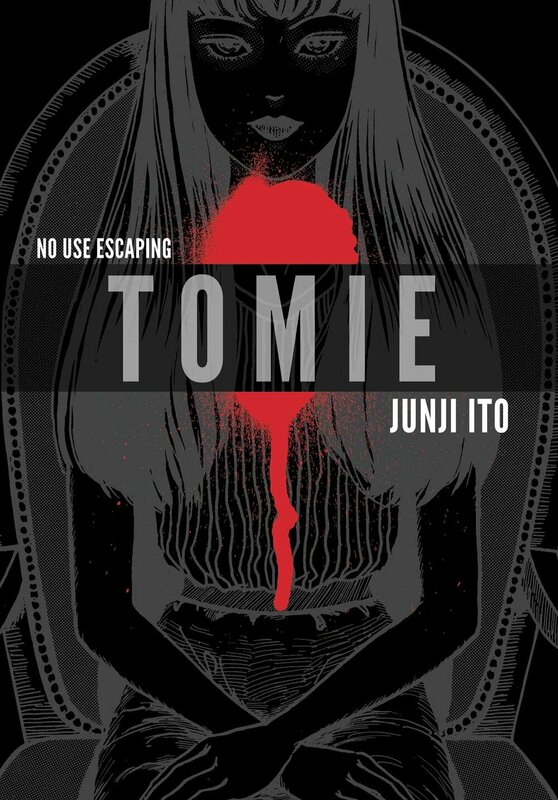 The movie revolves around a hospital where Tomie is born from the womb of a child due to a kidney transplant from another Tomie when the child was born. Since her birth, numerous nurses have quit their job, doctors have gone insane and the director has mysteriously disappeared. The film follows the director's daughter who wants to find out what happened to him as well as a young man who has noticed a change in his friend's behaviour since he started dating a former patient of the hospital. Their paths cross on several occasions and they decide to collaborate to uncover the hospital's bleak mysteries. If compared to the first two films that were entirely atmospheric, Tomie: Replay actually has a few truly scary moments. The franchise's weird atmosphere is still present thanks to great light and sound effects. The characters have more depth and development than usual. The strongest point of the movie is the story that shifts and turns here and there but is overall logically structured and easy to follow with solid pace and without any unnecessary lengths. The only thing I'm missing here is the gloomy soundtrack from the first film that gave it such a unique atmosphere. If the soundtrack were more efficient, Tomie: Replay would not only be a very good horror movie but an excellent one. The franchise certainly redeemed itself after the rather forgettable Tomie: Another Face with this strongest entry in the franchise so far. Since all movies tell independent stories, you might as well start discovering the franchise with this highlight. If you like mysterious horror movies that focus on atmosphere rather than gore, you will certainly appreciate this film that is best enjoyed on a cold and dark winter night. Tomie: Rebirth is the weakest entry in the horror movie franchise about the evil girl that cannot die. Let's start with the few positive points. The film certainly has an uneasy atmosphere from start to finish. Sakai Miki might be the best actress to portray Tomie yet as she finds the right balance between human emotions and monstrous manipulations. The film shows a Tomie that is more powerful than ever before. She can come back to life through a picture, take possession of other people when they use her lipstick and even kill people with the help of her hair. Despite a good lead actress, an intriguing atmosphere and a few clever ideas, the movie is boring and hard to sit through. Horror movies should be scary in one way or another but there isn't one single frightening moment in the entire film. The cast claimed that the film had humorous elements and were close to a dark comedy but that most certainly isn't the case as the atmosphere remains gloomy throughout the film and people die under terrible circumstances. Most of the acting performances are terrible since actors and actresses constantly move and speak in slow motion that would even make Inspector Mathias and Detective Chief Inspector Derrick look like dynamic characters. The story is also somewhat confusing as it shifts perspectives all the time and includes unnecessary flashbacks. The pace of the film is dragging and it certainly doesn't help that this is the longest movie in the franchise up to that point. Tomie: Rebirth is a disappointment because it never lifts up, overstays its welcome and wastes all of its initial potential. Shimizu Takashi directed movies like Ju-On before this film and would later on create the marvelous Marebito but his involvement in this film is underwhelming. Only avid collectors and fans of the franchise can give this film a try. Anyone else should stick to Tomie or Tomie: Replay or just read the manga. Tomie: The Final Chapter - Forbidden Fruit was supposed to be the last film in the franchise about the evil girl that cannot die. As we speak, four more movies have been made but it might have been a good idea to actually end the franchise on a solid note with this film. The movie isn't as gripping as Tomie: Replay and as atmospheric as the first Tomie four years earlier but it's clearly an improvement over the unbalanced Tomie: Rebirth or the compilation of low-budget television episodes released under the title Tomie: Another Face. The story revolves around a high school student called Tomie who is bullied by three other girls. Her mother died ten years ago. Her father seems to be as gloomy, lonesome and unhappy as herself. One day, the high school student meets a girl of her age who is also called Tomie but who is completely different from her. She seems to be courageous, quirky and self-confident. The two quickly become friends and even start developing a romantic interest in one another. However, the extroverted Tomie deceives her friend as she is actually interested in her friend's father and wants to get rid of his daughter. She reveals to the old man that she was in love with him twenty-five years ago but ended up being killed by one of their friends. She wants to rekindle her love for the old man and soon manipulates him and his daughter. The father soon must make the difficult choice to either get rid of his daughter or of the obsessive intruder. This film is much more a drama with mild horror elements rather than a horror movie with mild drama elements. This movie isn't scary but it convinces with the gloomiest atmosphere in the franchise up to this point. The film starts slowly as most of the other entries but steadily quickens up the pace and ends on a surprising note. There are several memorable scenes like Tomie being nursed as a monstrous baby reminding of Eraserhead and the sinister showdown in the ice factory. The story is quite unpredictable and certainly one of the strongest plots in the franchise. The actresses and actors are more dynamic, emotional and unique than in some of the predecessors. The manipulative nature of the antagonist becomes most obvious in this film. The outcast protagonist however is certainly a character the audience can root for. I would recommend this movie to fans of the franchise and to anyone who likes supernatural dramas with a gloomy atmosphere. Tomie: The Final Chapter - Forbidden Fruit would have concluded the movie franchise on a solid note. Still, there isn't one single film that fully lives up to the potential of the original manga series.